Panasonic Lumix GH1 firmware hack on course!!! Well it was bound to happen at some time. Some clever hacker has proved that Panasonic could have done a better job with the programming of the codec for the GH1. 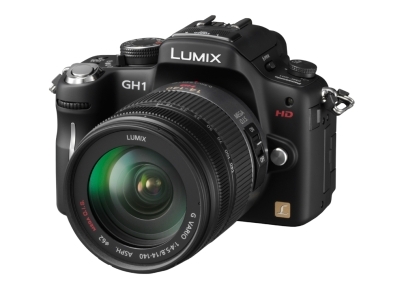 Most people believe that the GH1 could be the pick of the video enabled DSLRs ( even though it isn’t technically a DSLR ). It has an articultaing LCD, interchangeable lens mounts that due to the short flange distance allow for the use of almost any lens ever made, large sensor at Micro 4 thirds that gives a filmic depth of field bla bla bla. Panasonic didn’t have the guts to unleash this baby as a winner and instead chose to cripple the codec. It is so bad that even my SONY HC3 HDV camcorder from FOUR years ago outperforms it!!! 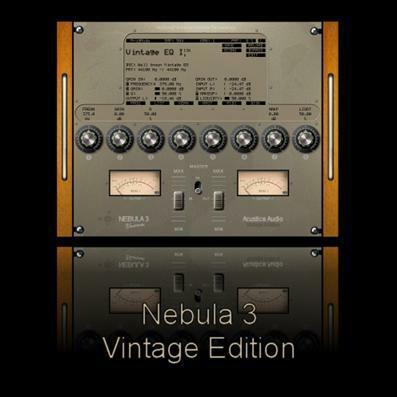 !What a shame because it is a simply stunning performer – except the codec………until now!!!!!!!!!! If you own a GH1 get over there and donate so we can free this baby – or at least get Panasonic to give us a decent codec. At $ 6000 it is not a true indies dream.Okay not a poor indies dream….. 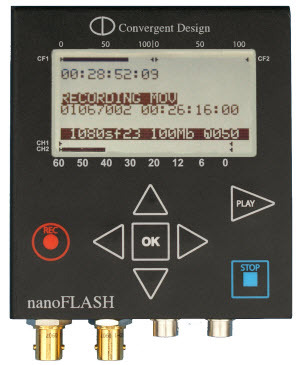 It does have my attention because of HDMI and HD-SDI and it is confirmed that they will be live when recording.$5000 more for effectively what is a GH1 with less aliasing and live HDMI – I thought of going that route – until now………………………..My HFS10 with the Nanoflash and SGblade gives me an amazing picture as it is.I have a low light champ in the 5D MArk II and all that is left now is something I can stiuck on a Hague stabiliser for steadycam shots – ie. the GH1 with a good codec….WE MAY BE THERE SOON. The hack has so far overcome a few issues – MJPEG is now able to record at 24p although frames get skipped. The bit rates have been able to get successfully upped for a few more precious mbps and some uses claim there is no mud to speak of now. It seems very promising. The 30 minute limit has been overcome for EU PAL camera owners.You need to do the patching yourself and it will no doubt void any warranty so this is not for the faint of heart. Some of you may be aware that for over a couple of years now I been on the forefront of HDMI capture and attempting to make it easier to do in the field. Well I held off for a few months but last month I eventually succumbed and bought the Nanoflash from convergent design. Capable of recording to compact flash cards the Nanoflash is a dream for anybody wanting to enter the realm of high quality HDMI capture. Of course the product can also capture to HD-SDI. I have made myself a DIY battery that can last a whole day if need be. The output file is either i-frame or longop – ( long group of pictures ) and I will be recording to 180 mbps longop which surpasses anything the DIY project I did can achieve. The data rate at 8 bit technically has more information than the film scan rate of cineform at 10 bit. This makes it perfect for consumer camcorders like the HFS10. Have a look at what it looks like in action. Go to Vimeo, login and download the original to get a feel for the detail captured.I was blown away. HDMI capture,HFS10, SGBlade, Nanoflash, Nikkor 85 mm AI from Henry Olonga on Vimeo.